Still safe in the cabin, not far above water, frightened passengers and crew were waiting for the final signal. They were waiting in a darkened cabin, waiting for word from Captain Murray. No panic yet, but waiting again, in silence. Waiting for impact. Waiting in silence. And waiting . . .
Then, one single, gigantic, horrendous crash! Baamm! Instant terror, horror, freezing water, screaming, death. Seventy six people struggling for salvation. Fifty one make it to the life raft in the midst of confusion, crushing, shouting, freezing and breaking waves. After the last survivors are pulled into the raft, it begins to get very quiet. They cling to themselves and each other. They are packed tightly in that small rubber craft. They all feel alone . . . teeth chattering . . . being blown by gale force winds in the dark . . . freezing in the raging sea, tossing, turning, staring into the dark, praying for help to arrive. One single flashlight pointed toward the clouds with hopes of being seen. An airplane passes overhead. Spirits are lifted by the sight. Then they are alone again. The airplane continues on. They couldn’t see us. And a few minutes later, another plane passes over, again getting lost in the darkness. Dispare. Suddenly a flare lights up the sky! A bright, brilliant flare! Someone knows they are there! Hope re-ignites. Hope is alive again. It must be a miracle! A miracle is happening! To the survivors in that tiny raft in that tumultuous water, it certainly seemed like a miracle. How else could it have happened? In reality, that first flare and those that followed were the result of a careful series of highly professional calculations and moves. It looked like a miracle when the first flare dropped out of the sky. 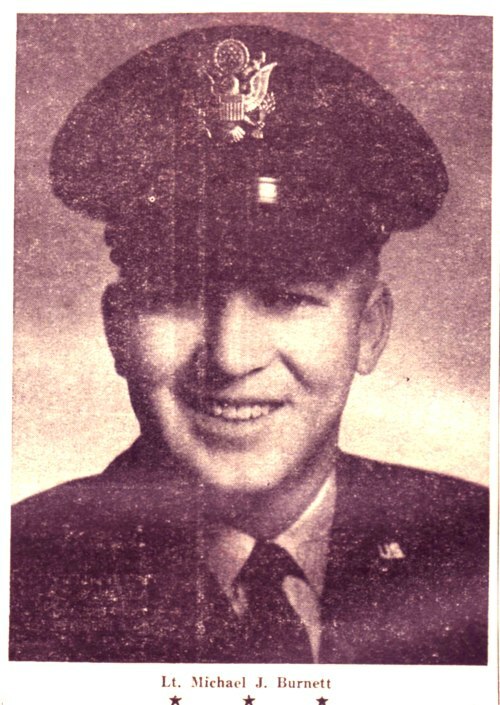 To Air Force First Lieutenant Joseph K. Lewis, Tuscaloosa, Alabama and his co-pilot, Lieutenant Michael J. Burnett, Vinson, Oklahoma, finding the ditching site and the raft full of survivors was like finding a needle in a haystack. Then they had to thread the needle in the dark to sew together the entire rescue team long enough to get them to the rescue ship. Capt. Lewis and Lt. Burnett were flying an Air Force C-118 Globemaster. They were flying as part of the Military Air Transport System (MATS) from Preswick, Scotland to Harmon, Newfoundland – in the opposite direction as the Flying Tiger. They heard a transmission from Capt. John Murray and made contact. Capt. 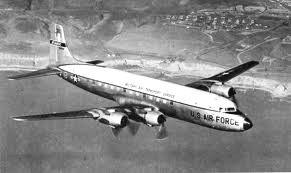 Murray requested that the C-118 alter its course and accompany them to Shannon, Ireland. Lt. Lewis, was making his first run as aircraft captain. He and his crew changed course as requested and got behind the beleaguered Tiger about 10 minutes later. By this time, Co-pilot Lt. Burnett had taken full control of communications and coordination. They followed behind the Tiger as conditions worsened below. Captain Lewis and Lt. Burnett asked for the Flying Tiger’s altitude, but they didn’t get an answer. Instead, they heard Capt. Murray say that he had lost a third engine and couldn’t get it started and he thought they were going to have to ditch. Still behind and within sight of the Super Constellation, the C-118 followed. Then suddenly the Tiger disappeared into a cloud bank and was gone. Once through the clouds, they could not see a thing. It was gone. It was dark and storming. They made two passes and finally the one small light Capt. Murray remembered at the last minute shined up at them. It was the raft. They found a raft. On return to home base, they saw within 40 miles a ship steaming toward the raft and felt that rescue was at hand. Very few of the survivors ever had any knowledge of the details surrounding the nearly invisible C-118. The sudden appearance of flares to light the way remained a miracle in most minds. The contributions of Capt. Lewis and Lt. Burnett and the entire C-118 crew got the attention of the Air Force hierarchy and the London and New York press. They also got the attention of New York’s television media. The Ed Sullivan Show happened quickly, within two weeks of the ditching, before most survivors regained the bearings or were any place where they could watch the show or even know about it. Most never did know about it. [Editorial note by Fred Caruso: For 48 years, this writer and survivor thought that miracle plane was another Flying Tiger that was following a beleaguered colleague and was there to mark the way, and for 48 years I had nothing to contradict that assumption. Yes, several news stories mentioned a C-118 doing something, but it didn’t ring any bells. Why would an Air Force plane be seeking us out? And for 48 years, this writer never gave it another thought nor gave serious attention to the clues. I survived and that was all that mattered to me most. But now I know who to thank. That situation was just one of several major misconceptions I and others had about what happened at the ditching of Flying Tiger 923. How could the whole story be known? There had been no briefings of any kind, no follow up by the military or anyone else. For most survivors, there was no access to newspapers during the first days of the rescue. For many, including myself, there was no access to news for weeks and weeks due to hospitalization and travel and only limited access after that. If anyone has information they would like to share, please let me know. This site will stay active for at least one more year. People all over the world are discovering it every day. Leave a message on this site. This entry was posted in rescue teams and tagged air crash, C-118, crash of the Flying Tiger, Flight 923, Flying Tiger, Flying Tiger 923. Bookmark the permalink. atmosphere, this isn’t it. The food is decent and the drink specials on Tuesdays include $2. Enjoyed reading this article. This is Joseph Lewis’ wife Lucille.